Mr. Ledbetter is a wartime veteran. He served in the Air Force during the Vietnam Conflict. He was chosen to be a team member of a special operations team to go into Laos, North Vietnam and Cambodia to rescue the American POWs. Mr. Ledbetter then joined the Army, and although he was qualified as a JAGC lawyer, he chose to go into combat commands as an infantry officer. He served in the Infantry as well as Special Forces. Mr. Ledbetter is a trained mediator and arbitrator, who is available to assist parties in resolving their disputes in a far less contentious setting. 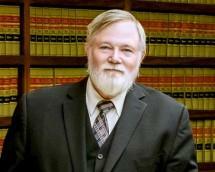 Mr. Ledbetter currently has a number of cases on appeal, which are on the cutting-edge of the law.